While it's no question that the trade wars between the U.S. and China have been roiling the markets for both respective economic superpowers, China ETF traders will often have to wait and see how the market reacts in order to play the bull or bear, but Direxion Investments offers ETFs that allow traders to play both sides. Direxion offers the Direxion Daily FTSE China Bull 3X ETF (YINN) and Direxion Daily FTSE China Bear 3X ETF (YANG) to allow China ETF traders to be in the thick of the markets whether they decide to go long or short. Today marked the official day that U.S. President Donald Trump's administration began imposing tariffs on as much as 25 percent on $34 billion in Chinese imports. 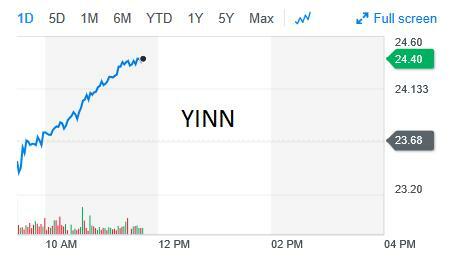 As expected, YINN and YANG reacted conversely to the tariff implementation news. 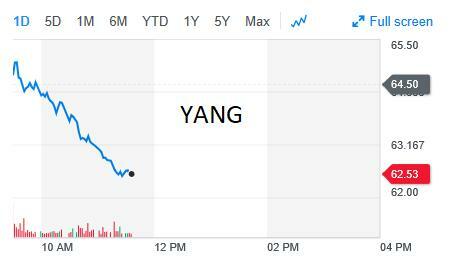 YINN boasts a one-year return of 17.58 percent and YANG is up 1.67 percent year-to-date. "As emerging markets continue to get beat up, and outflows increase, we’ve seen traders looking for inverse exposure in the short term," said Syliva Jablonski, Managing Director, Capital Markets – Institutional ETF Strategist of Direxion Investments. 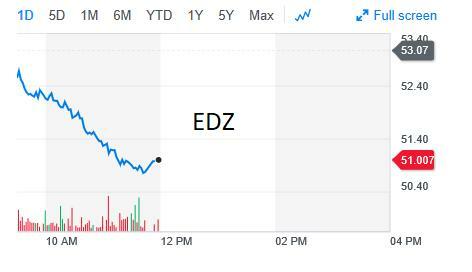 As expected, EDC and EDZ both reacted conversely to the tariffs going into effect today. 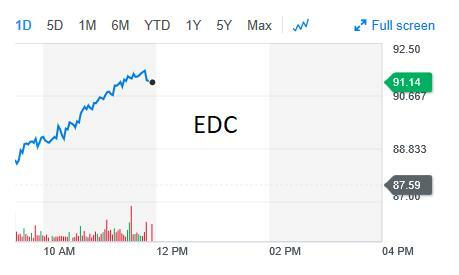 EDC is up 7.04 percent the past year and EDZ is up 13.16 percent year-to-date. For more investment trends in China ETFs, click here.